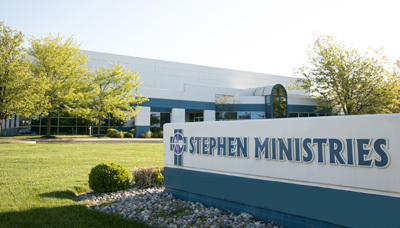 Stephen Ministries is an international not-for-profit educational organization based in St. Louis, Missouri. Since 1975, Stephen Ministries has trained more than 75,000 leaders from the United States, Canada, and 30 other countries, who in turn have equipped over 600,000 volunteer caregivers. These caregivers have provided emotional and spiritual support to millions of people affected by cancer, divorce, job loss, chronic illness, grief, or other crises and life challenges. Stephen Ministries also publishes resources and conducts seminars on a variety of topics, including dealing with cancer, lay caregiving, relationship skills, assertiveness, leadership, conflict resolution, and crisis care.